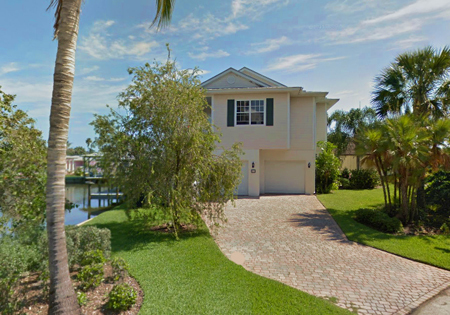 Crystal Lakes in Melbourne Beach is an established neighborhood of affordable single family homes, and featuring some exceptional canal and riverfront properties. 2.1 miles south of Driftwood Plaza (Publix). 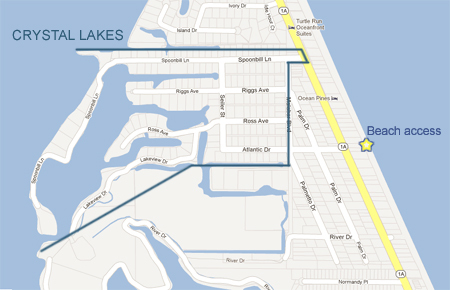 Crystal Lakes of Melbourne Beach is located in the middle south beaches. 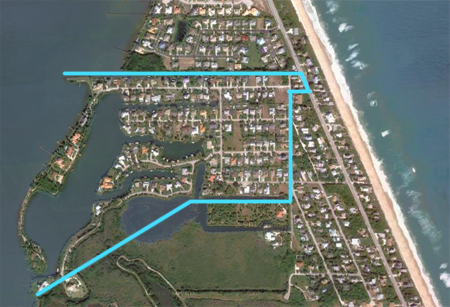 Enter community from Highway A1A via Spoonbill Lane to the north, and Atlantic Drive to the south. Beaches: Crystal Lakes features a public beach access with parking just across from the south entrance of Atlantic Drive.